Every WooCommerce website owner wants to be able to keep an eye on the store and have an opportunity to update his website even when there is no possibility to use browser or laptop for checking how e-commerce business is going. 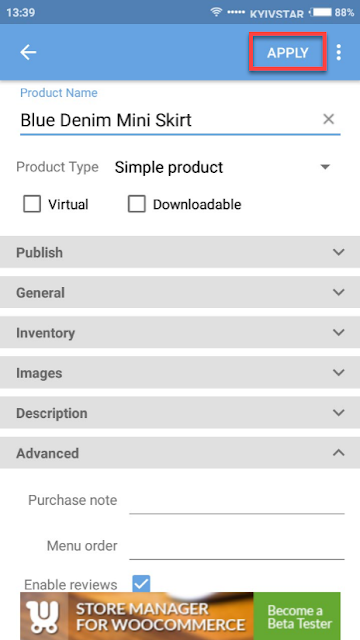 With Mobile Assistant for Woocommerce, you have a great chance to view your e-store statistics, check main details of your products, orders and customers, also, recently added opportunity to edit item details directly from your Android device. In addition, now, you have a great possibility to add products from your smartphone as well. 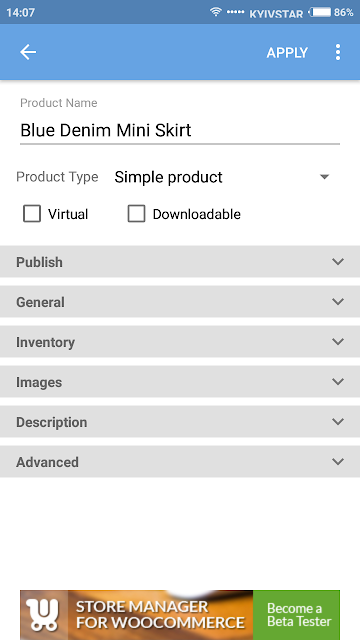 What is the process of adding new product to your website via Mobile Assistant for WooCommerce? Start the Mobile Assistant and proceed to main menu and select “Product” option in main application menu bar. Click "Add" icon in the bottom right corner of your mobile screen. Start filling the product fields with all necessary information. Product name - write the title to your product that will appear at your store. Product type - specify what type your future product will have (simple, grouped, external/affiliate or variable). If your simple product is virtual or downloadable, tick the corresponding checkbox. 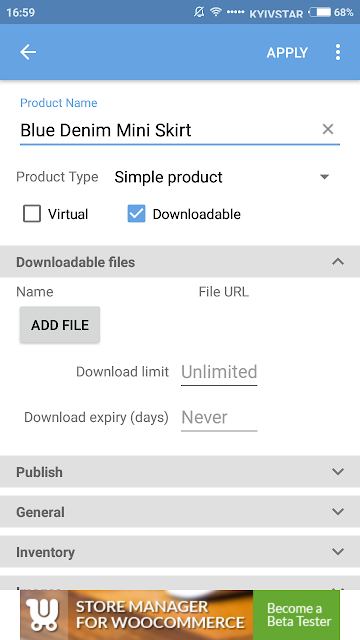 For downloadable product, attach the downloadable files (specify the name, add file, setup the download limit and download expiry). Appoint status of your item at one of the creation steps (Draft, Pending review, Published). In the General tab, specify the regular price. If your product has sale price, setup the starting date and the date it will be valid to. Inventory tab allows you to insert product SKU. 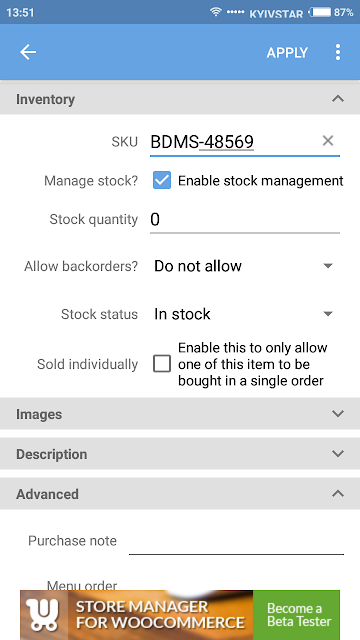 Enable stock management if you use one. Establish stock status for the item and define if it is allowed to be bought only one in a single order. Moving to the Images tab, add the images to the product gallery that will complement your almost ready-to-sell item. You can add the already existing picture in library or take a new one. Replenish your article with descriptions in the corresponding section. Fill the products with additional information in the last Advanced menu section. 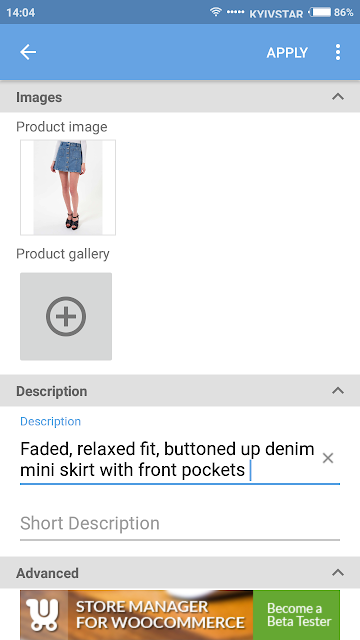 After you finish with filling all the needed product details, click "Apply" button on the top to save changes in WooCommerce Mobile Assistant. Please, take into account, that Product Adding is a paid option in Mobile Assistant application. There are two plans available: the first one allows you to add products from your Android device for one year and the other one foresees adding products on a regular basis. 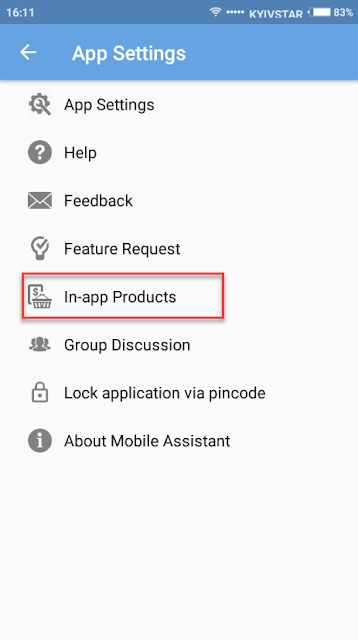 To unlock the adding product feature, proceed to "App Settings" in the main menu and choose the "In-app Products" section. 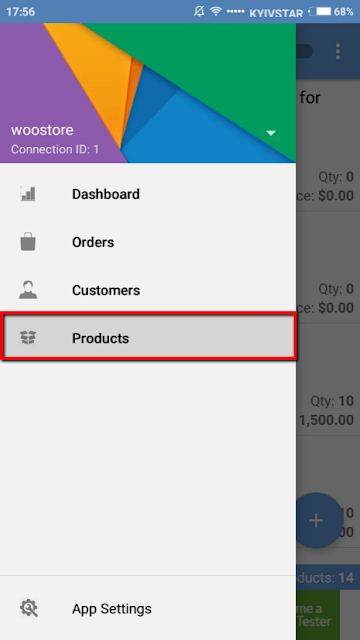 Take a great advantage of creating products via Woocommerce Mobile Assistant and simplify your product management in any place you go!